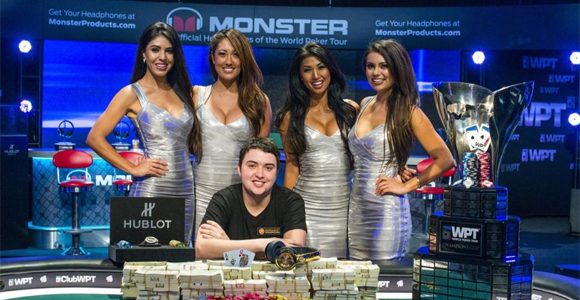 Asher Conniff, a player from Brooklyn, made a simple mistake when he was signing up for some poker tournaments that gave him the chance to walk away with first place, and $973,000 in cash. He actually “misclicked” when signing up for some tournaments in Atlantic City, where he actually signed up for the big-bucks tournament at the Borgata Hotel & Casino Spa. His mother was quite worried, as it was a $15,000 buy-in, and on top of that he would miss a family vacation. In the end, Conniff’s mother was quite ecstatic of his victory, seeing as how he made 64 times more than his buy-in. It was definitely worth it for him to miss out on a little vacation time, as I am sure he can more than make up for it. He is not a well-known poker player, but after this stunt he will surely get a few followers, and actually start taking some more risks when signing up for live tournaments. He has won a total of $188,000 in total career winnings, but after last year’s WSOP he planned to take the game more serious, and has made a pretty good dent in that dream. If you want to learn more about his skillful win at the Borgata Hotel & Casino Spa in Atlantic City tournament win, or what he plans on doing from now on, check out the full article.